Primrose Flowers are available in the Magnolia Collections since 2016. 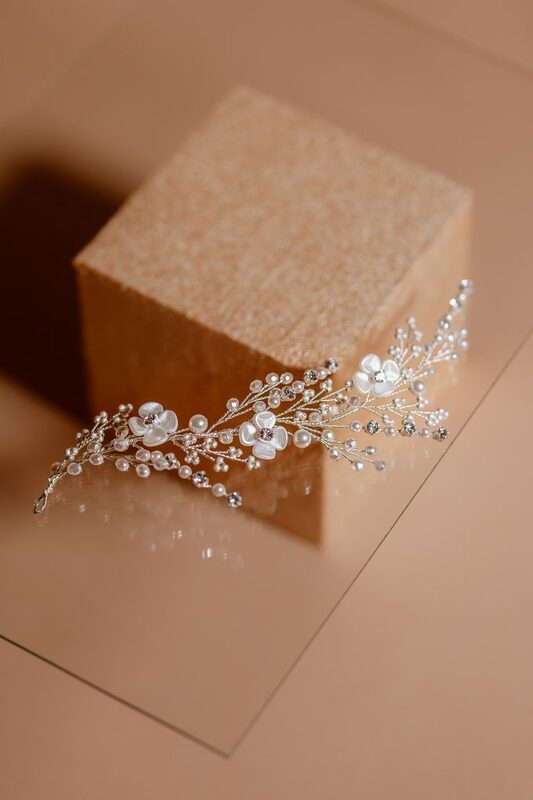 Using the glass beads flowers we created this romantic headpiece adorned with with Swarovski crystals and pearls and this year’s glass sand beads. 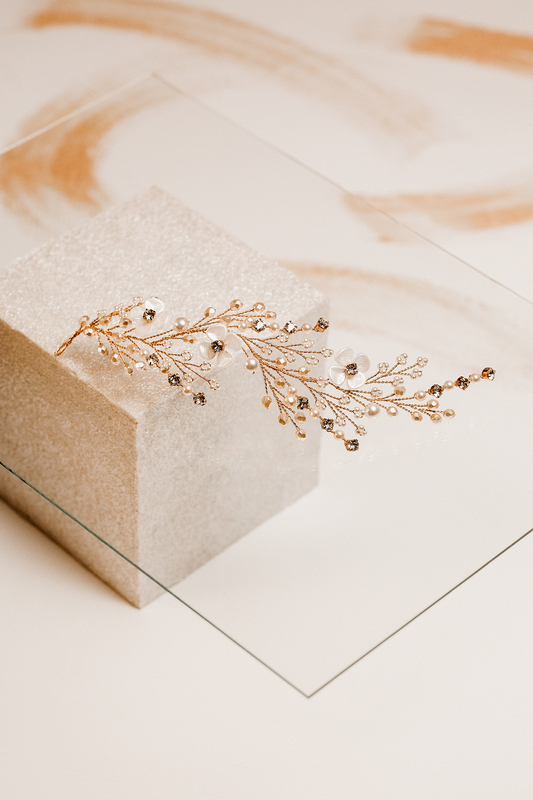 Amee is made from flexible wire so it can be easily styled in any of your preferred hairdos. Love it before you wear it..